The H&M delivery arrived - KEEPERS!! You know what it's like when you do an internet haul… 50/50 on what stays and what goes back.. So, when clicking away on H&M last week, I really (honest Guv') thought that maybe one of these two beauts would end up winging their way back to a cold warehouse - No way, I'm not parting with these! It's loads lighter than it is in this picture - it doesn't do it justice! A cool grey with gold hardware and let's face it, it's a very nice look-a-likey to this seasons Celine box bag - £19.99 very well spent!! Buy here. Bag 2 - Handbag with (optional) Cross Body Strap…. 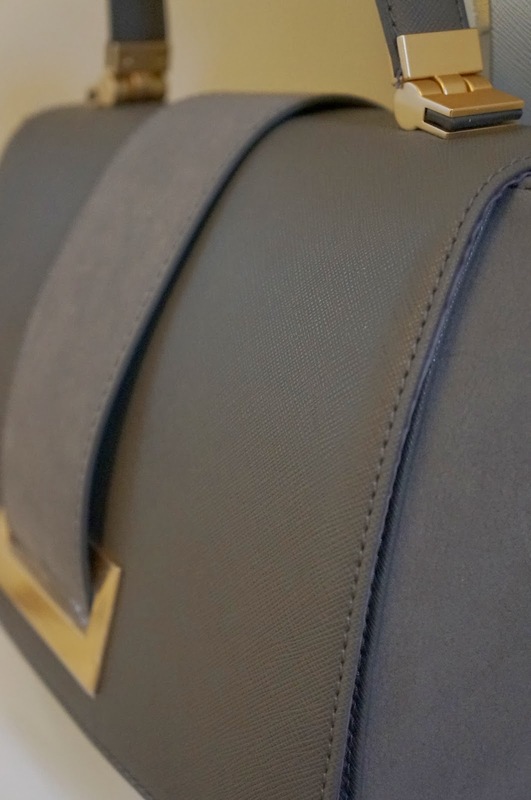 Dark grey with suede effect for tonal shading… Again, loving the gold hardware and shape of this bag for the amazing £29.99! It's one of those with hidden magnetic clasp fastening so you don't have to faff with the fancy looking feed through… Let's face it, we never use them in the end anyway! (it's available in black too). Buy here. Of course, neither of these bags are leather but, they look and feel good so well worth a seasonal update investment!! Wow, when I saw these pictures I assumed these bags would be designer so you can imagine my surprise! And they're a kind of neutral colour so they'll go with anything. How did I miss these, agree with Rachael above- very Zara!! Thanks Lucy! Without doubt, the best buy of the year so far! !